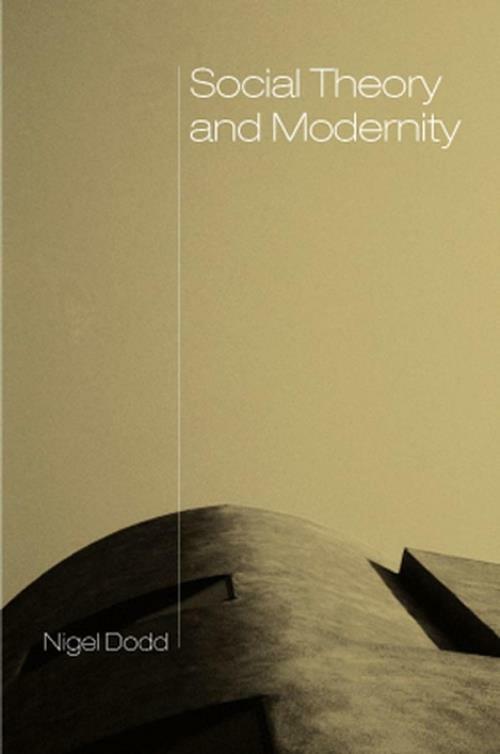 This book is designed as a textbook in social theory which takes the concept of modernity as its guiding theme. Beginning with the classical sociologists, including Marx, Weber, Durkheim and Simmel, the author examines a series of arguments and debates concerned with the social, political and economic potential of modern societies, and with the apparent failure to live up to their earlier promise. These questions are then pursued through the work of later social theorists, including the writings of the Frankfurt School, Foucault, Baudrillard, Beck, Giddens and others. Must we abandon the principles of the Enlightenment? Can we still defend the idea that there are universal properties of social enquiry? What should our reaction be to the pluralist claims of postmodernist authors? In responding to these and other questions, Dodd develops a distinctive view of the scope and purpose of social theory today. Accessible, wide–ranging and up–to–date, this textbook will be of interest to second–year undergraduates and above studying social theory, sociology, political theory and human geography. Introduction: Modern and Postmodern Social Theory. Part I: Classical Social Theory. 1. Modernity and Society: Marx and Durkheim. 2. Modernity and Reason: Simmel and Weber. Part II: Modern Social Theory. 3. A Critique of Reason: Horkheimer, Adorno and Marcuse. 4. Reason and Power: Foucault. 5. The Potential of Reason: Habermas. Part III: Postmodern Social Theory. 6. Reality in Retreat: Lyotard and Baudrillard. 7. Society under Suspicion: Bauman and Rorty. 8. Modernity Renewed: Giddens and Beck.